Trevor Wilson is a retired Australian diplomat who served as Australian Ambassador to Myanmar from 2000-03, and has been Visiting Fellow at The Australian National University since 2003. CANBERRA, Apr 25 2018 (IPS) – The lead-up to the Australia-ASEAN Summit in Sydney on 16-18 March 2018 was characterised by widespread and well-publicised protests in Sydney against human rights abuses occurring in several ASEAN member countries – namely Cambodia, Myanmar and Vietnam. These protests dominated pre-summit media coverage and likely surprised some ASEAN leaders who might not have expected such a public outcry. In some instances, the protests were accompanied by quite negative commentary in Australian media. As Myanmar’s State Counsellor and de facto head of government, Daw Aung San Suu Kyi attended the Australia-ASEAN summit for Myanmar. This was her first official visit to Australia, although she had visited in late 2013 when she was a mere member of parliament, before her National League for Democracy (NLD) won a resounding victory in the November 2015 general elections.Daw Aung San Suu Kyi was accorded the courtesy of a full state visit to Canberra. Yet throughout her visit, she faced constant criticism from the Australian public over her government’s handling of its Muslim minority group, the Rohingya. Australians are naturally dismayed by the disastrous humanitarian circumstances confronting the Rohingya, large numbers of whom had fled to Bangladesh after heavy-handed military operations against them by the Myanmar Army in August and September 2017. Both Australian government and non-government responses have led to additional humanitarian assistance flows from Australia to help relief efforts. So far, this assistance is mainly going to Rohingya who have fled to Bangladesh. 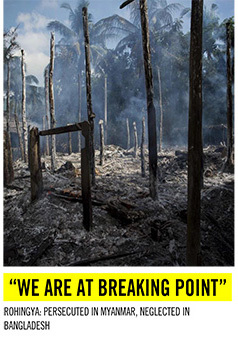 This does not really get to the heart of the problem, which is ultimately for Myanmar to resolve. The Rohingya question was reportedly raised in confidential sessions of the Australia-ASEAN Summit but was not mentioned in any official media coverage. In fact, Myanmar’s policy on the Rohingya remains in stalemate. One important challenge for Suu Kyi is to demonstrate how her government would implement the policies she announced in her 19 September 2017 speech to the Myanmar nation. The world has yet to hear how her policies of inclusion and realising the peace dividend for all Myanmar’s people might be achieved in Rakhine State as a credible part of a compact involving the Rohingya. Even if tangible and satisfactory outcomes will take time to achieve, Suu Kyi needs to articulate how any truly relevant action plan might be seriously pursued. The people of Myanmar and international donors alike are keen to know that a way forward is worth pursuing. Any internal solution of the Rohingya issue in Myanmar will eventually need to address the vexed question of citizenship for the Rohingya. However, this seems to be more than Myanmar’s Buddhists can tolerate at the moment, obsessed as they are with any perceived threats to national sovereignty. Even Aung San Suu Kyi may not have sufficient authority on her own to forge a new national consensus in Myanmar that means treating Rohingya more fairly, and she is still apparently reluctant to entrust finding a way forward to the United Nations. 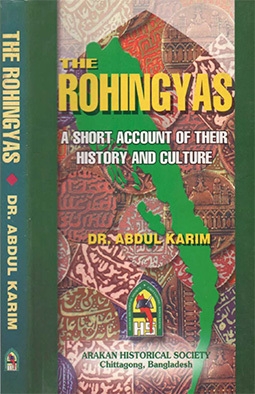 But it is meaningless to hold her alone morally responsible or to single her out for not doing more when the Rohingya problem has been mismanaged by all concerned for so long. Whatever transpires, Myanmar will probably not be able to fashion a solution to its Rohingya problem without additional direct international assistance, but any Myanmar government response to the Rohingya problem will be constrained by growing public hostility in the country towards the Muslim population. There has been some press reporting that the Myanmar Government had decided to allow the United Nations access to the areas where the Rohingya were forced to leave, but UN access to Rakhine State is not confirmed. 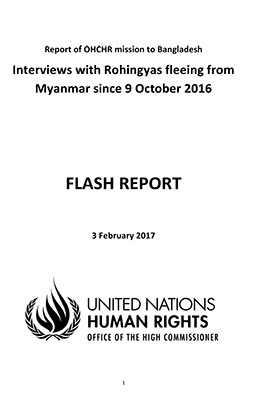 A UN Human Rights Council fact-finding mission has been waiting for permission to enter Myanmar since late 2017 in order to investigate allegations of human rights abuses against the Rohingya. The issue of whether or not Australia should provide direct assistance to Myanmar will now need delicate consideration, free from any additional constraints from ASEAN. This is especially the case since achieving an ‘ASEAN consensus’ may not be feasible. Australia has a strategic interest in having the Rohingya problem resolved on an enduring basis, but Australia does not necessarily have the clout to do this on its own. It would require working more intensively to persuade all stakeholders to take the Annan Commission recommendations seriously, to establish a better and more transparent regional basis for cross-border migrant workers, and to ensure that those whose claims to refugee status can be verified are granted protection in countries like Australia, where Rohingya have proved to be excellent citizens.